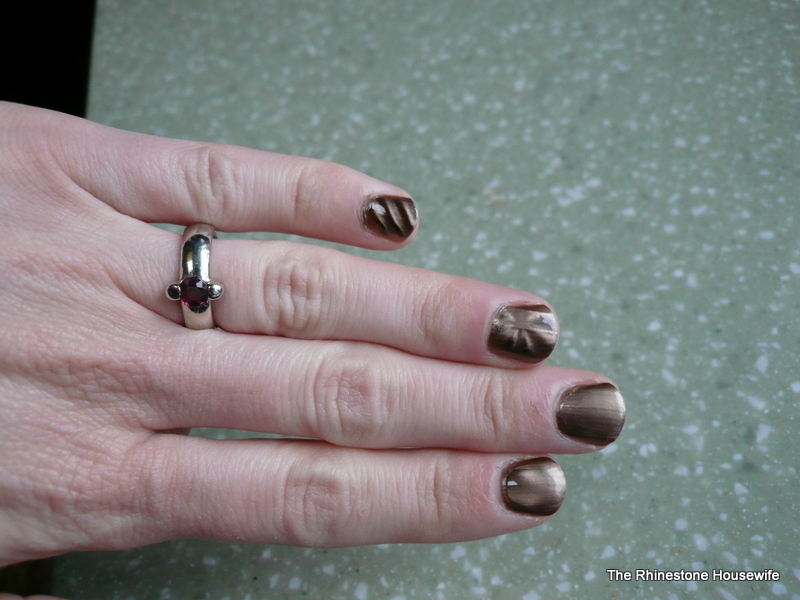 I had my first foray into magnetic nail polish with mixed success! Four of my nails look amazing and the other six are varying degrees of fail. It takes a little bit to get the hang of the magnetic but once you’ve practiced a bit I think anyone could do it. I purchased a magnetic that can do three different patterns. I used two coats of China Glaze Magnetix in You Move Me with Seche Vite base and top coat.